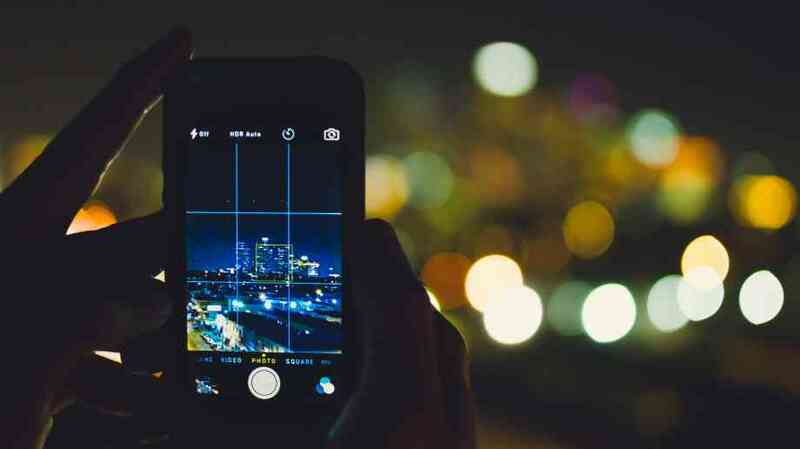 Bridgeworks CEO, David Trossell is referenced in this FIS Global industry white paper detailing the shift to cloud-enabled technologies at the core of the financial services and banking industries in 2019. The time is now for banks to capitalize on the many benefits that can be achieved by running Core banking solutions in the cloud. This white paper explains why. Topics include recent increased confidence in cloud strategies; a definition of what cloud-based core banking means; reasons/use cases for moving to cloud-native core banking and migrating to a cloud- enabled core; and a discussion of how banks can make the move to a cloud-based core. This white paper is part of a series of FISTM white paper publications regarding core banking modernization trends and topics. Putting Your Core in the Cloud – Why Now? Timing is everything when designing solutions for banks. While the quality of a solution greatly determines its strategic success, timing can be at least as important. 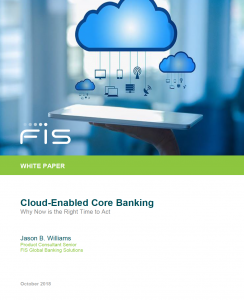 Here we consider whether the time is right for a bank to migrate its core system to the cloud – and if so, why. This year, Amazon Web Services (AWS) celebrates its twelfth birthday, while Microsoft Azure turns eight. In this relatively short timeframe these two companies have become the universal gold standard for cloud-based solutions. Major companies, including Netflix, Adobe, Apple, Samsung, BMW, and Facebook have all adopted cloud in a big way. However, even five years ago, the mere mention of a cloud-based core solution in the boardroom of a major bank would probably end a meeting early. 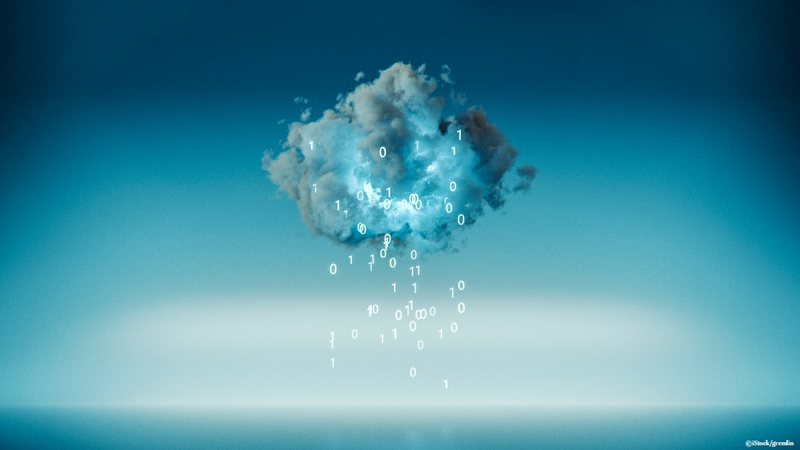 For many years banks have used the cloud for non-critical systems, such as email, customer relationship management, and application development. But they just weren’t ready to discuss moving their core systems tothe cloud. Instead, they relied on the trusted strategy of building out their bank IT on bank-owned hardware in bank-owned data centers. So what’s changed? Data security was the most often cited reason for banks not adopting ambitious cloud strategies. But recently, the level of security available in the cloud is at least as good as that within bank data centers. Cloud providers take data security very seriously, and security standards are amongst the highest available. In the past, regulators have shown concerns about banks using the cloud for customer data, due to perceived security risks. They also worried about the implications of the concentration of so much data residing with the big three cloud providers. However, regulators now acknowledge the benefits of cloud availability to banks, and they are starting to adapt their thinking. Moreover, cloud providers are engaging with the regulatory bodies to educate them about cloud technology and what it actually means. Regulators acknowledge that a modern infrastructure environment offers sustainable benefits to all parties. Banks can leverage the massive investments of Microsoft, Amazon and Google, so cloud can make banking more democratic and competitive. Regulators also recognize that cloud technology can provide a very secure environment, which is better than most banks could achieve themselves. In return, banks are starting to get more guidance from regulators regarding the outsourcing of core offerings, and how they can leverage cloud providers to enable them to focus on banking rather than IT. Regulators (especially in Europe) are also discovering that cloud banking is a powerful way of opening markets up to more competition. New entrants can utilize cloud environments to launch services into the market; cloud computing means that technology is no longer a barrier to entry. In the age of the great customer experience, customers have high expectations – and the expectations keep increasing. Banks are under tremendous pressure to deliver innovative digital solutions to a consumer base that expects to transact instantly, anywhere, and at any time. These new dynamics are causing banks to rethink how best to build and deliver banking solutions. Many banks are looking to the cloud for application development and deployment of new banking solutions. Cloud offers scope and scale to develop and deliver real-time services across any device without a significant investment in IT infrastructure. Cloud technology also offers a foundation on which to develop customer insights using big data and analytics, and simplifies the task of maintaining data transparency in multiple jurisdictions. In many banks, cloud computing has become top of the agenda.